When Keith and Peter Griffiths decided to invest in a new removal vehicle, they knew they did not want anything resembling a van. After detailed talks with Superior UK Automotive, they took ownership of a stunning new Mercedes-Benz Vito which looks so good that it can operate as a multi-purpose vehicle. Keith Griffiths talks us through his high-spec Vito. The company’s existing fleet vehicles are Ford Mk11s, but they had always been an admirer of Mercedes-Benz design. So Keith contacted Superior UK Automotive. After some weeks of talks, a detailed specification was agreed. Hywel Griffiths’s Vito has a top quality exterior design, finished with a high-quality interior, making it ideal for home and hospital collections. Brothers Peter and Keith, together with their children Rhodri, Lowri, Rhys and Euros are a tight-knit family business that was started in 1875. As 4th generation of this family firm, Keith prefers to deal with small companies. Superior UK Automotive are also a family business, with Kevin working alongside his father Peter. Hywel Griffiths Funeral Directors are a privately owned business based in Betws, near Ammanford in West Wales, and offers funeral services and monumental masonry with a bilingual service. 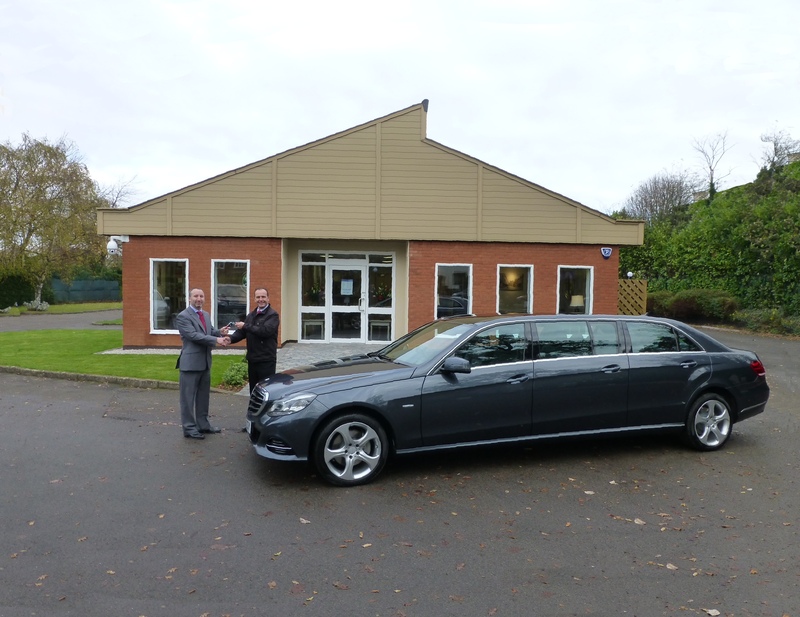 Hywel Griffiths Funeral Directors’s First Mercedes-Benz Vehicle Exceeds Expectations is a post from the Superior UK blog. The main Superior UK website is here. Superior UK’s Kevin Smith is back from a visit to Pilato in Italy and Binz in Germany. And he has some news about the next E Class. We’ve known for some time that a new E Class design will be rolled out from Mercedes Benz. But, until now, the funeral industry hasn’t been able to take a close look at the aesthetics, technology, and drive of the new design. The Superior UK team recently spend a week in Europe, visiting their partners at Pilato and Binz. “Our first stop was Pilato in Italy,” Kevin said, “where we were able to check on customer vehicles in build and discuss future products. We saw the first XF Grand Aurora come out of the paint shop, and briefed Pilato in on plans for four XJs customer vehicles. Key figures from Superior UK and Binz met to discuss the run out of the current E Class and the merge through of production to new E Class. Kevin voiced questions on behalf of his funeral director customers, and was pleased to note just how easy it will be to merge the new E Class with existing vehicles in a fleet. Mercedes Benz say the new E Class is a “tour de force of technology”, and although the front end of the vehicles shares synergy with the outgoing model, anyone with a keen eye for cars will spot subtle changes. But it’s on the inside that the differences really stack up. Interior space, ride quality, quietness, fit and finish have all been addressed by Mercedes Benz. Standard specification includes LED headlights and taillights, satellite navigation, Active Brake Assist and PRE-Safe Sound. All new E Class saloons will have the new nine-speed 9G-Tronic automatic gearbox as standard, which delivers a high 72.4 mpg economy and lovely smooth shifts. Standard specification on the SE includes new sat nav, parking sensor and self-parking technology, impressive safety systems, and incredible 64-colour selectable LED interior lighting. The cars are luxurious to drive, with leather upholstery, heated front seats and an improved sense of space. But the car has a familiar look which will put it at home with your existing fleet. This is all good news for any funeral director looking to add a new E Class to their fleet in 2017. The styling is the same, so old and new will merge into one classy looking fleet. But the quality of technology, the driver experience, and every detail of the fit and finish has been upgraded. The new E Class Estate will arrive in the UK market during October 2016, and Superior UK are gearing up to deliver the first of these stunning new vehicles in Spring 2017 with the limousine rolling out first and the hearse shortly after. The cars are already at Binz in Germany, and Superior UK are in touch every week to keep track of development work. For more information about the new E Class, please contact Kevin Smith (for the South) Kevin.Smith@superioruk.com or Greg Platt (for the North) Greg.Platt@superioruk.com. E Class News is a post from the Superior Automotive UK blog. The main funeral cars website is here. It’s not often that you get to see how the vehicles you drive every day are built. But that’s exactly what happened when Jonathan Stretch from FC Douch & Sons (Funerals) Ltd in Dorset was invited to the Binz factory in Stuttgart, Germany. The trip was part of Superior UK’s planned visit to Binz. Kevin Smith of Superior was travelling to Pilato in Italy and Binz in Germany to discuss customer requirements and get involved in the development of future products. The Douch Family Funeral Directors have been customers of Superior for more than 10 years. In that time, Kevin has sourced and delivered all their funeral vehicles. With 8 branches across Dorset, Douch Family Funeral Directors run a large fleet of Binz and Mercedes Benz funeral vehicles and personal vehicles. As part of this very special customer visit, Jonathan Stretch from Douch Family Funeral Directors received a personal tour of the Binz factory. “It was a wonderful trip,” he said. “From the minute I landed, I had an informative, entertaining and amusing time. Everyone at Binz was welcoming and obviously very proud of everything they are doing at the factory. During the visit, Kevin and Jonathan also enjoyed visiting the historic Mercedes-Benz museum at Stuttgart. Superior UK Hosts FC Douch At Binz Factory in Germany is a post from the Superior Automotive UK blog. The main funeral cars website is here. The Heart of England Co-operative runs a large fleet of more than 20 vehicles across thirteen funeral homes across Coventry, Warwickshire, south Leicestershire and Northamptonshire. Darryl Smith, Heart of England Co-operative Society’s General Manager of Funerals, explains why he choose to renew with another Mercedes Benz Vito. Superior UK have supplied Heart of England Co-operative Society with more than 10 vehicles in the past four years, and have built a close working relationship with Darryl and his team. Superior UK are delighted to be the chosen supplier of Heart of England Co-operative Society. “We are always happy to advise Darryl, and help him choose vehicles which support the vision and values of the business,” said Kevin Smith at Superior UK. The Latest Mercedes-Benz Vito Joins Heart of England Co-operative’s Fleet is a post from the Superior Automotive UK blog. The main funeral cars website is here. 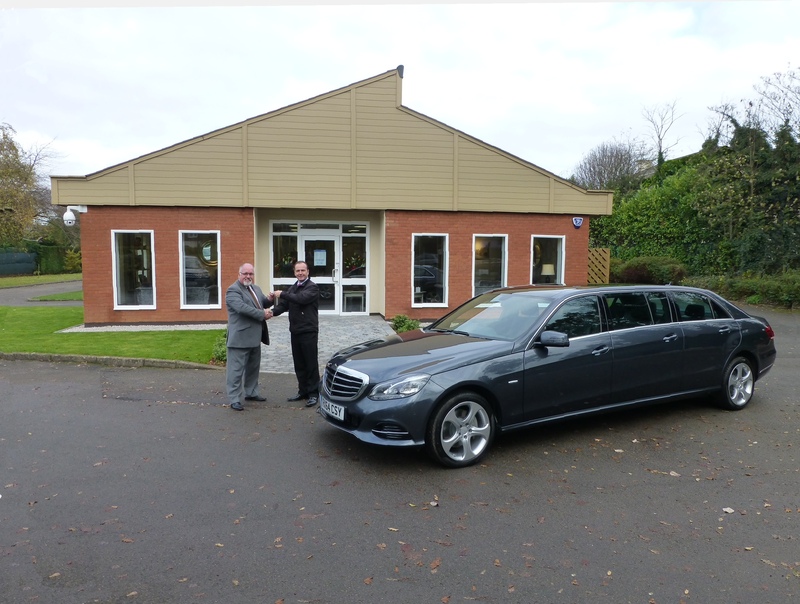 When Anthony Grieve arrived at work on 18th November, he was presented with a huge surprise from his father Bill Grieve: a brand-new Binz hearse and limousine to mark the handover of business from father to son. Unknown to him, his father Bill had been working away behind the scenes with the help of Kevin Smith at Superior UK to arrange purchase and delivery of two bespoke vehicles. After 28 years running Thomas Grieve & Son, Bill plans to retire next year. What better way to begin the handover than with two shiny new cars, custom-built to the Grieve family’s exact specifications. The Mercedes hearse and limousine vehicles were manufactured at Binz in Germany and delivered to Thomas Grieve & Son’s West Lothian offices by Superior UK, Binz’s UK partner. Bill Grieve and his own father, Thomas, started the business in 1987 in Blackburn, West Lothian. The company is still based in Blackburn but has now grown, employing 15 members of staff across four locations, and offering chauffeur hire services. The happy recipient of the vehicles, Anthony Grieve, represents the third generation of this thriving and hard-working funeral firm. “As soon as I saw the new cars in the yard, I realised what Dad had arranged,” said Anthony. “I was blown away by the surprise. The cars were put to work straight away and have been a huge asset to our fleet. My Dad and I have run the business tougher for the past eight years, and I’ll use the solid work-ethic he’s taught me to take the business forward when he retires. The new hearse and limousine join Grieve’s existing fleet of two Binz hearses and limousines, and four Mercedes Binz family cars, all in the eye-catching Palladium Silver. It’s A Superior Surprise For Thomas Grieve & Son is a post from the Superior Automotive UK blog. The main funeral cars website is here. When FH Halliday of Portishead decided to add a second hearse to their fleet, they went searching for a vehicle supplier who welcomed single vehicle orders. FH Halliday and Son is run on a day-to-day basis by Funeral Director Matthew Aldridge and his wife Tracey, the busy firm serves a large area of Somerset and Bristol from its base in Portishead and second office, Abbey Funeral Services in Worle, Weston-super-Mare. Matthew Aldridge tells us why it was important to find exactly the right vehicle supplier. Matthew did a lot of industry research but found some carriage masters seemed unenthusiastic about a single vehicle order from a smaller funeral firm. The business has been in the Halliday family since the 1880s and is owned by Helen and Glyn Lawrence who now live overseas. Glyn flew back for the delivery of the hearse and was delighted to be present at the official handover. “I’m grateful to Kevin Smith and the team at Superior UK for the professional handling of this hearse purchase,” he said. “We love the vehicle and the personal way we were all looked after. I hope we can do more business in the future. First Formal Hearse Purchase in 20 Years For FH Halliday & Son is a post from the Superior Automotive UK blog. The main funeral cars website is here. The Heart of England Co-operative have always been a forward-thinking business. Their fleet are a key part of their brand’s modern image, so when it was time to purchase a new limousine, they asked Superior UK to help source a brand new Binz. The latest limousine to be delivered to Darryl is part of a continual programme which keeps the Heart of England Co-operative moving forward. Superior UK looks forward to being of service to Darryl and his colleagues in the future as they expand their fleet and keep their company image fresh and distinctive. You can find us at Superior Automotive UK on Twitter and Superior Automotive UK on Facebook. For more about us please go to our main website – Superior Automotive UK. New Binz limousine helps Heart of England Co-operative maintain modern branding is a post from the Superior Automotive UK blog. The main website is here.